Our new Hall, the Eshel Avrohom Eliezer Hall, is perfect for any small simcha. 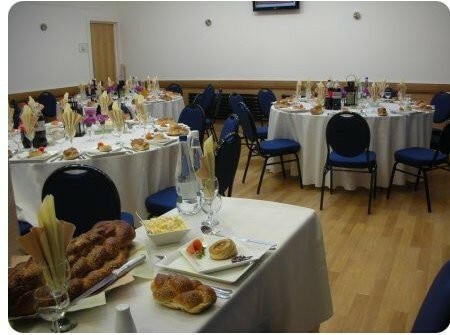 Seating from 50 to 100 people, depending on table layout, it is available for Brissim, Sheva Brochos, Bar Mitzvahs, and other simchas as well as for seminars. It has a modern fully equipped catering kitchen, and audio-visual facilities.